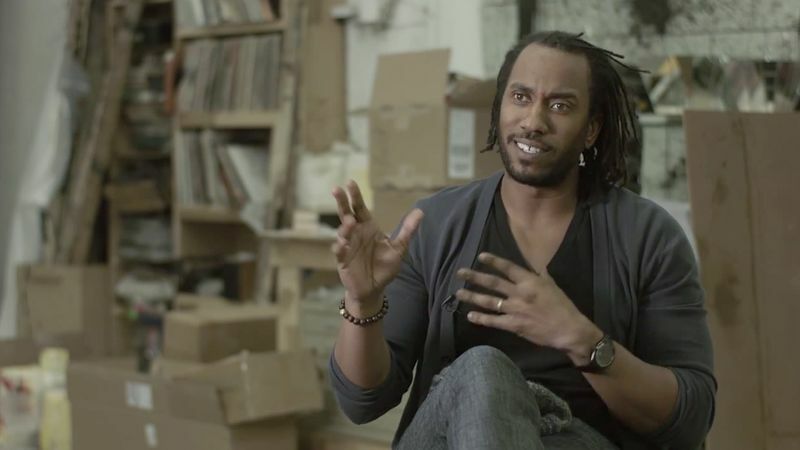 Rashid Johnson made his name as the youngest participant in ‘Freestyle,’ a 2001 show at the Studio Museum in Harlem that put some of today’s best-known African-American artists, like Trenton Doyle Hancock and Julie Mehretu, on the map. By now, Johnson, 40, has also shown in galleries, museums and biennials around the world—a major exhibition at Moscow’s Garage Museum just closed. And he was recently named to the Solomon R. Guggenheim Foundation’s board of trustees, the first artist appointed since Hilla Rebay, the Guggenheim Museum’s founding director and curator. 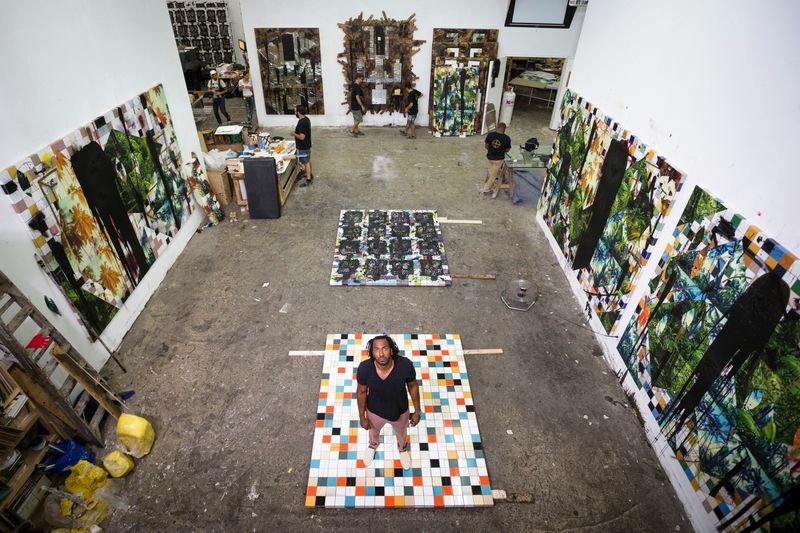 Among Johnson’s more remarkable traits is his humor and humility – as is immediately clear on a steamy summer day in his Bushwick studio. 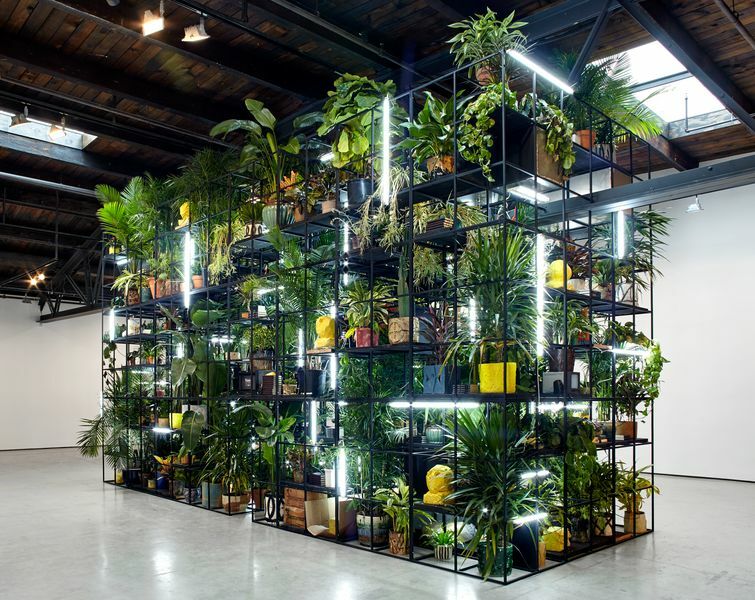 He prowls nervously around an architectural model in a corner, the maquette for his show at Hauser & Wirth, his first New York gallery exhibition in five years. Looking at the model, he discusses the gallery’s intimidating size. ‘I’ve never made a maquette this large before,’ he says, noting its soaring ceilings and famously column-free rooms. 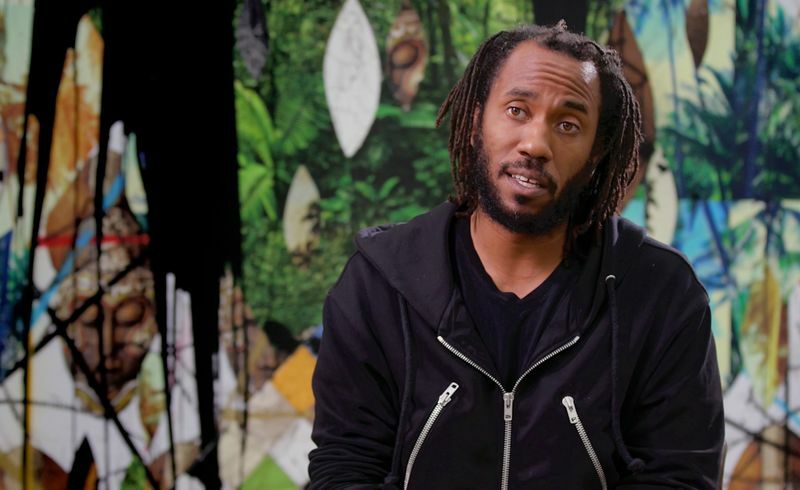 ‘The openness of the space forces you to work as an architect.’ Then he laughs, adding that the show will likely be about ‘the success or failure of Rashid Johnson’ in that arena, too. 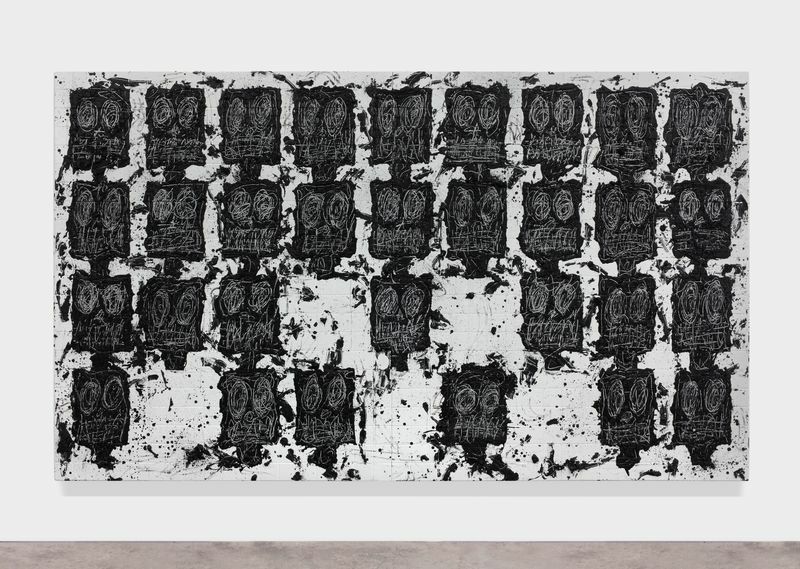 Rashid Johnson, ‘Untitled Anxious Audience’, 2016. 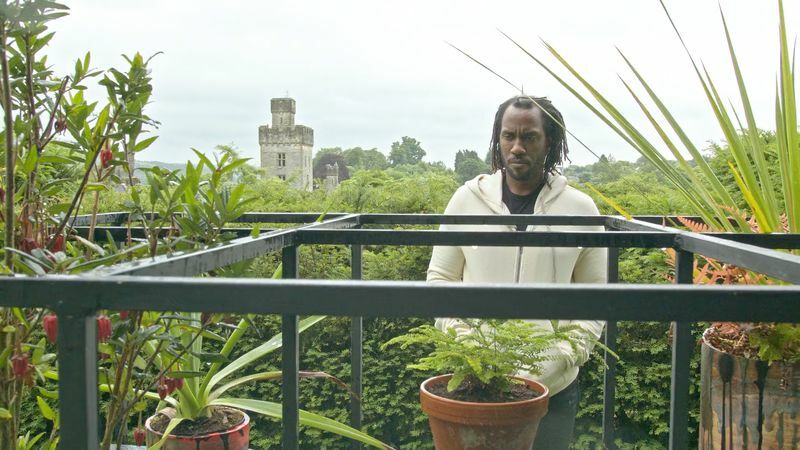 © Rashid Johnson. Courtesy the artist and Hauser & Wirth. Rashid Johnson, ‘Untitled Anxious Audience’ (detail), 2016. 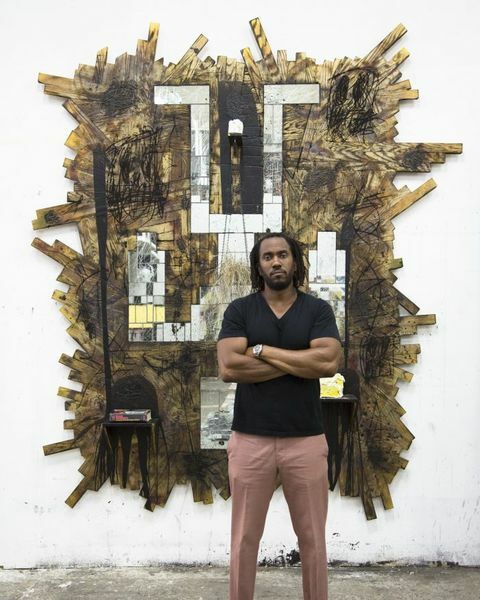 © Rashid Johnson. Courtesy the artist and Hauser & Wirth. 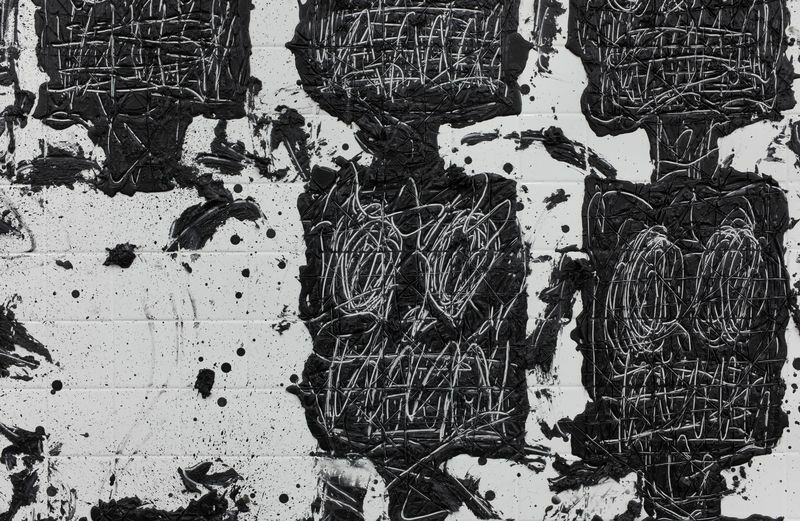 The exhibition, which runs through October 22, opens with six works from ‘Anxious Audiences’ – paintings covered with grids of scrawled, apprehensive faces that grew out of the ‘Anxious Men’ series Johnson debuted at New York’s Drawing Center last fall. ‘I think of them almost as audiences to the bizarre political theater we’ve been witnessing,’ he says, suggesting not only the Presidential race but also the many horrifying deaths that ripped through the news last summer, including the Orlando and Nice massacres, and a string of unarmed black men shot by police. Next come the ‘Falling Men’ wall assemblages that transform Johnson’s signature materials of white tile, oak floorboards, mirror shards and black soap and wax splatters into upside-down stick figures who seem to fall through space. ‘There’s a quietness to these that’s almost a respite.’ Johnson says. 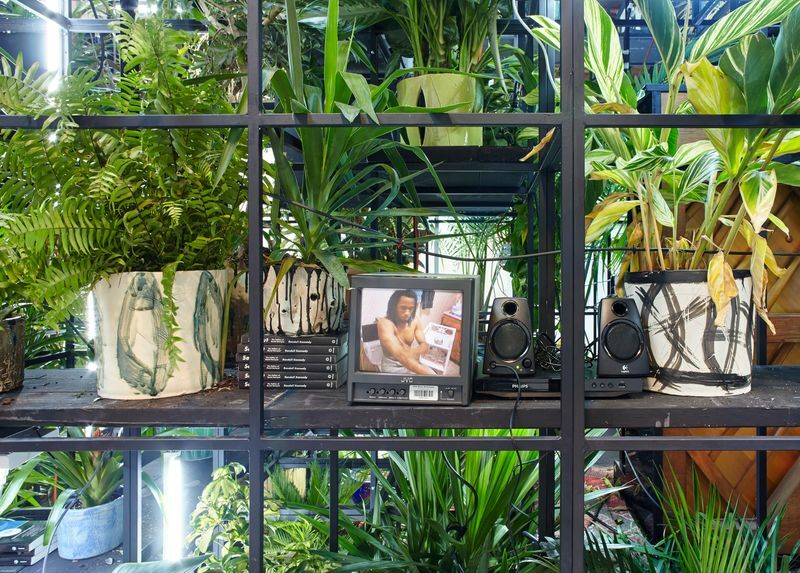 ‘Like the gift of death Derrida talks about.’ Even in that busy studio, with assistants sawing and hammering in the background, the robotic figure with a potted fern planted where its pubic hair should be, conveys a weirdly visceral sensation. 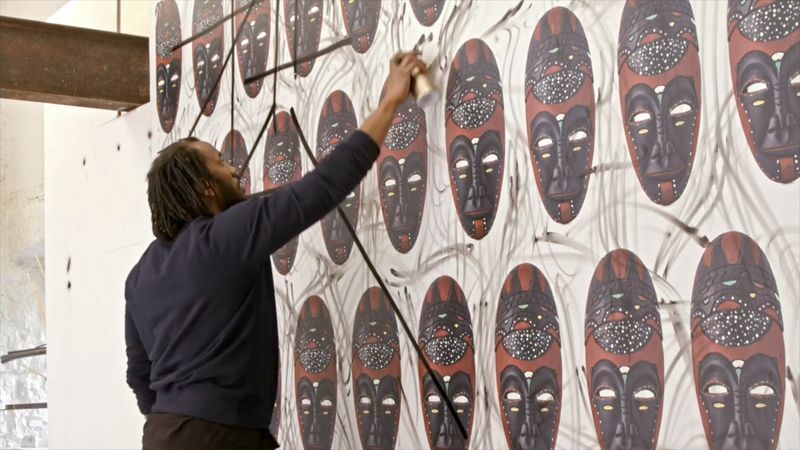 ‘Rashid is someone who is always experimenting in the studio and trying to innovate,’ says Cristopher Canizares, senior director at Hauser & Wirth. ‘But I can’t think of a moment when he has debuted so many new series and taken such innovative strides all at one time.’ Yet another such moment may soon be on the way: this show is a warm-up for Johnson’s upcoming museum exhibition, opening in February at the Kemper Museum of Contemporary Art in Kansas City, Missouri.